The online home for Ping contains all the necessary information that one needs to know about tarriffs, news, offers by Ping. This website is continuously being updated with new information daily. Very soon on this website, MyPing will be launced whereby Ping subscribers can check their credit, top up credit on line and benefit from free SMS messages everyday. 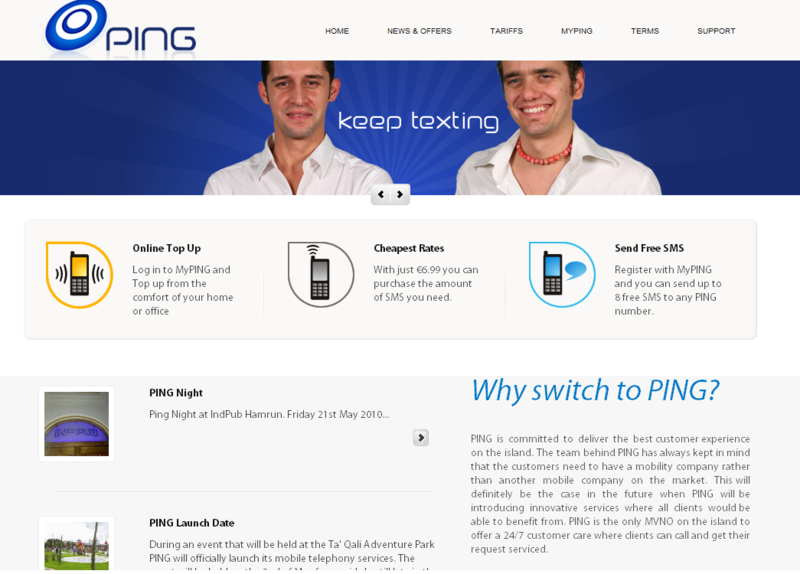 Go to www.ping.com.mt now for information about the Ping bundles & tariffs and more.